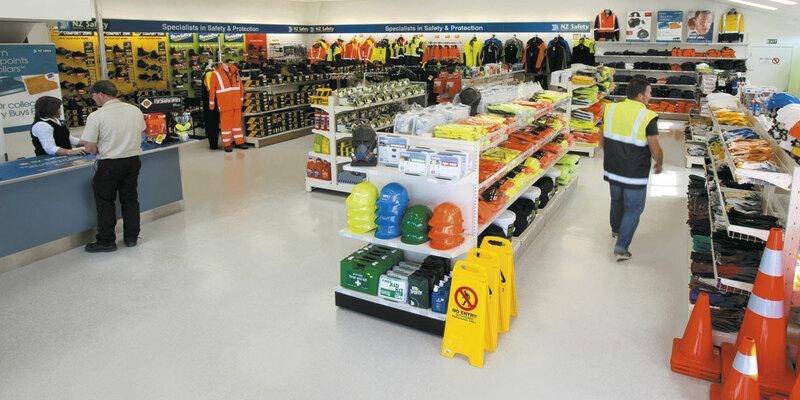 As New Zealand’s leading supplier of safety equipment, engineering supplies, uniforms and packaging, nothing’s more important to us than helping you get the job done. With a large team of industrial, safety and packaging specialists and trade centres throughout New Zealand you can depend on us to ensure your business never stops. For more information, and for store locations, visit: nzsafetyblackwoods.co.nz. 1) Collect 1 standard point every time you spend $30 (excl GST) on Qualifying Products and or Services when you swipe your Fly Buys card in-store or enter your Fly Buys account number when you complete a purchase online. For trade accounts, you must have your Fly Buys card number linked by NZ Safety Blackwoods to your account. If you have a trade account under which you purchase packaging products, points on those products will be collected at a rate of 1 standard point every time you spend $50 (excl GST). 2) Every time you reach $30, you will get a point. We will keep track of the amount you spend and will allocate that towards your next point for 12 months. 3) All Products and Services qualify. ii. Agents and / or officers of an entity are not the owner.